After being humiliated by her fiancée, Sophie Franklyn has decided that getting involved with work colleagues and men in general isn’t for her. Now her focus is going to be on her career and her recent promotion. That is until at a New Year’s Eve masquerade ball, she meets a man that tempts her to question her choices. Alex Scavoni is extremely dedicated to his job, so dedicated that his first marriage crumbled under the pressure of his dedication. Now he’s happily single, with a new job he’s excited to start. When he meets a masked Sophie at the ball, she fires desires in him he thought long dead. He spends a wonderful night with her, but wakes up alone. The next time the two meet, it’s in the high pressure world of Emergency Room medicine where they must work side by side. While they deal with the stresses of the Emergency ward, they endeavor to keep their feelings for each other on a professional nature. When the desire that pushed them together that one night flares to life again, can they ignore them or will their one night together have consequences neither of them planned on? 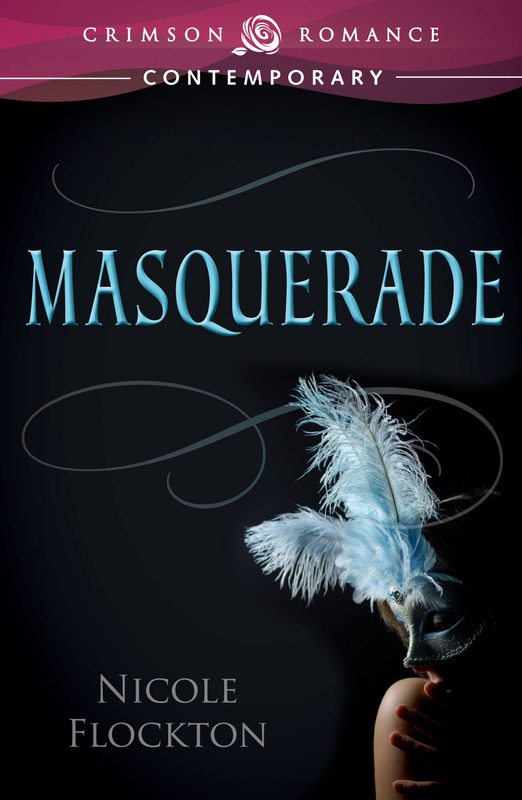 Masquerade lives up to its title as Nicole Flockton gives readers a taste of secrecy and disguise at the very opening of the novel. Sophie attends a work function with a masked New Years celebration theme. The formally engaged emergency nurse is determined to use the brief anonymity to begin anew. Her plan comes together as Alex Scavoni steps up to be her 'Mr. Right Now'. Her carefree night of passion comes with consequences, though, as Alex turns out to be her boss, and Sophie's already broken her vow to never again get involved with a coworker. Sophie is a fun character that surprises throughout the story. Even though Sophie comes from a wealthy family she makes sure to dwell more on her accomplishments that contradict with the average socialite. Her high-pressure job as a nursing unit manager showcases her strengths and keeps us on our toes as she expresses her doubts in being able to handle the job this time around. Flockton goes between Sophie and Alex in third person perspective to give readers a taste of their motives and secrets. Alex and Sophie both have pasts that continue to haunt them. Alex's first marriage that ended in disaster and Sophie's struggle to remain independent while trying to forget a failed relationship brings the two together and also creates reasons for them to remain apart. Each characters' struggle to remain uninvolved with a coworker was handled differently, but I think the characters gave in too easily to each other. On one hand, I'm proud of Sophie and Alex for going after what makes them happy, it's a romance novel after all. On the other hand, I feel like Sophie doesn't wholeheartedly resist Alex to stay true to the promises she made herself. Sometimes she came across as lacking conviction, which is insane because Sophie is a very determined character. Alex's deep dark secret is a touch overplayed, or less drastic that he made it seem, before all was revealed. I think the romance aspect of the story would have made an even bigger impact if one of the characters had experienced a more tragic loss; I couldn't really care too much if Alex and Sophie got together in the end because they seemed alright as they were before meeting each other. They weren't too broken and seemed like strong enough characters to eventually pull themselves together. Masquerade's plot will take you through emotions that range from gloomy to elated, and everything in between, but overall Flockton rounds the story into one that doesn't head where you might expect. This contemporary romance is definitely one worth picking up and giving a chance! Thanks so much for having me on your blog and being part of my debut blog tour!